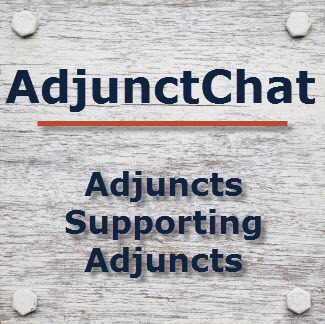 How Can I Facilitate an #AdjunctChat? “I’m a Professional X” – How to Recast Academic Experience in a #PostAc / #AltAc Environment. When applying for jobs outside academia, you have to dig deep and reinvent your professional persona. You need to translate your skills and experience into a language that employers can understand. So we want to know what’s worked for you, and what might work for you in future, be it project manager, writer, scientist, whatever else. What hints and tips can you share with others about presenting your skills? What can you do to reinvent how you present yourself topotential employers and colleagues? The chat will be co-facilitated by Chris Humphrey (@chrishumphrey), Jen Polk (@FromPhDtoLife) & Joe Fruscione (@ProfessorF74). All are welcome to #AdjunctChat on Tuesday, March 11, from 4:00-5:00pm EST. This entry was posted in Planning & Scheduling and tagged #altac, #postac, adjunct on March 7, 2014 by Jeffrey Keefer. Want to facilitate an #AdjunctChat on any of these topics or any of your own? Contact @AdjunctChat!